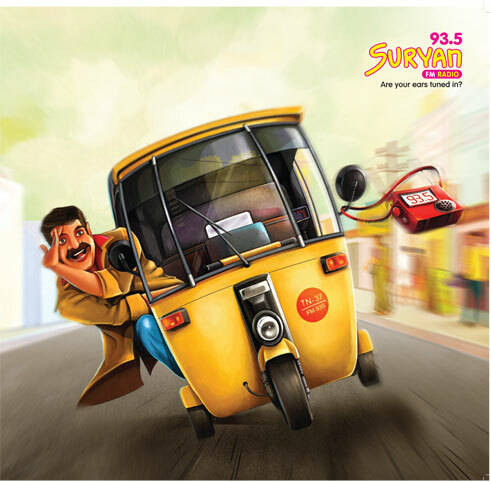 Tamil Nadu’s favorite radio station, Suryan FM, is part of the prestigious Sun Group. 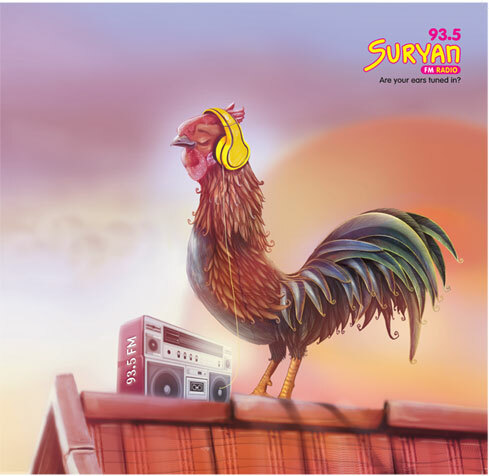 Over a mutually rewarding relationship spanning 10 years, we have helped Suryan FM launch several stations across Tamil Nadu. We've also helped launch all stations in the south for Red FM who come under the same parent group. 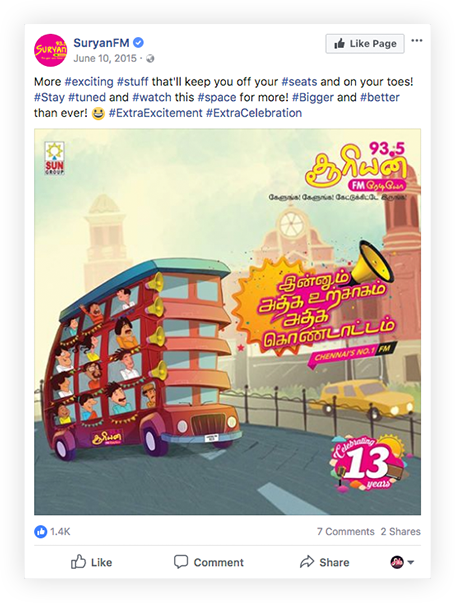 Our collaboration has led to our concepts become popular properties of the radio channel, namely Varnajaalam and Blade. We conceptualized and carried out their repositioning strategy in the state and have overseen the internal branding of their radio stations and corporate office. 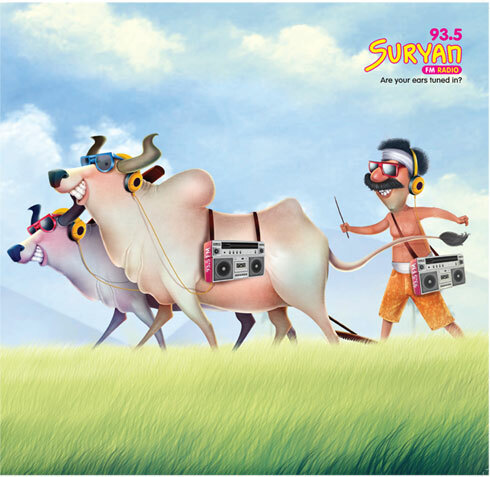 To reinstate Suryan FM’s brand leadership in Tirunelveli and communicate the exciting line-up of new programmes, to be launched. Tirunelveli, a tier-two city, is renowned for its unique dialect that surrounds a culture brimming with style, local quirks and vintage curiosities. 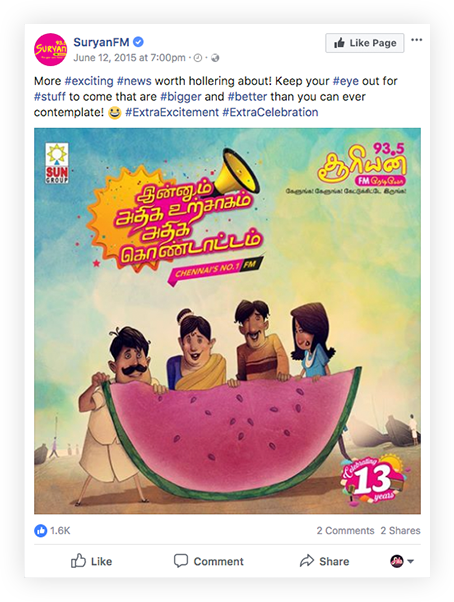 An illustrative style campaign that was luminescent with rich local characters, bold colours, colloquial in composition and superlative in its fun quotient was created for maximum market impact.